Been looking for vintage/classic Toyota parts for my next coming project and found out some "Teq" labeled accessories and emblems will always fetch a good price. I wonder why this "Teq" so special and I did some research but the outcome from what I did was totally different compare to what I understand. Thus I planned to share some information over here. Actually the spelling of Toyoda in the first logo is correct. The other two are technically “wrong”. Toyota was founded by Sakichi Toyoda (born 1867). His name is spelled with a “da”. In 1900, when Japan started to industrialize, Sakichi Toyoda was making looming machines that accomplished the difficult task of weaving thread into cloth. In the early 1900’s it must have been very progressive to write your company’s name in “Roman-ji”. Especially when that company’s name is using your own family name, Toyoda Automatic Loom Works. Roman-ji means using Roman to spell Japanese words. The second logo which is the "teq" logo is actually written in Japanese Katakana. A lot of Toyota car enthusiasts would like to give it a back story like; “teq” is short for “technology”, which is the Toyota research and development department before it was changed to “TRD” (Toyota Racing Development). So let's study the Katakana version and find out why there it is not called as "teq". This new logo was more than just a visual graphic change. The name switched from roman letters to Japanese Katakana. 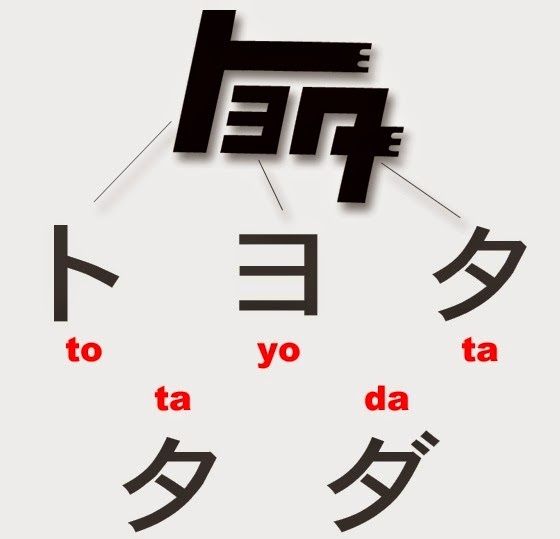 When read in Japanese the last letter reads as “ta” not “da”. There are two little lines that turn the voiced “da” sound into an unvoiced “ta” sound (below). It was decided to remove the 2 marks in the logo, and therefore change it to Toyo”ta”. 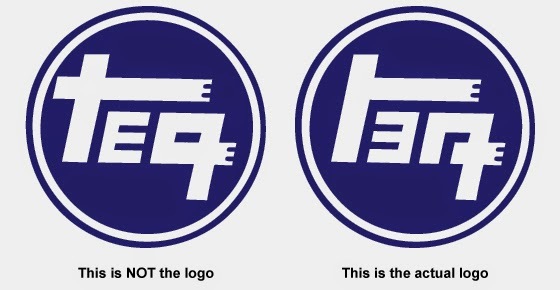 So this is "teq" logo history and it is not any special performance parts that developed by Toyota. The Honda S660 - Replacement of Honda Beat?